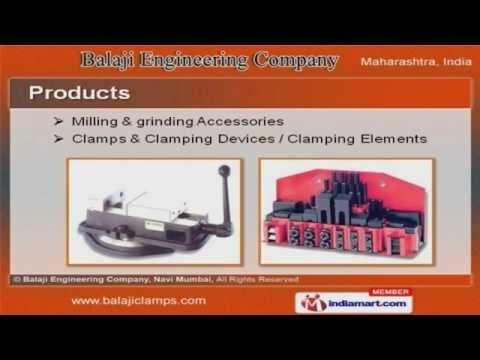 Welcome to Balaji Engineering Company Manufacturer & Exporter of Industrial Clamp Devices & Grinding AccessoriesThe company was established in the year 2005, at Navi Mumbai. Technically soundinfrastructure & Stringent quality norms make us stand apart from also-rans. Spacious warehousing facility, Premium grade packaging & diligent manpower are the factorsthat help us to stay ahead of our competitors. We offer a splendid range of grinding Accessories & Clamping Elements. Lathe Tools & Ocean Measuring Instruments offered by us are highly efficient. We also provide Toggle Clamp & Tool Room Accessories that are extremely reliable. Industrial Micrometers & Industrial Calipers offered by us are a class apart. Our Alignment Gauges are cost effective. Along with that we offer Grinding Machines that are available at affordable prices.